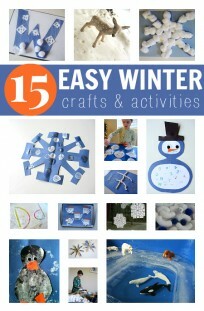 This is a simple winter craft that I have planned for my class of two and three year olds. 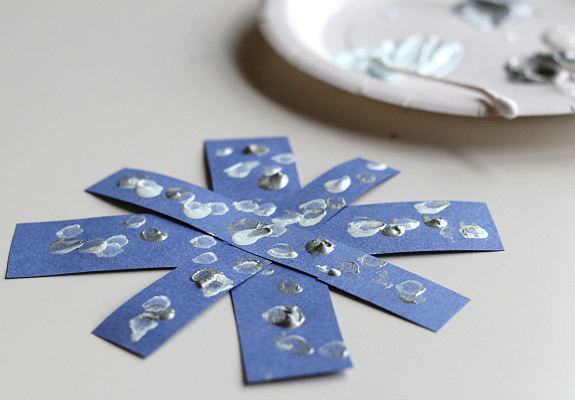 I often test out my lesson plans on my 4 year old and today when she asked what I was going to do with my class I told her we were going to make Q-tip painted snowflake crafts and she asked if she could make one too. Of course! 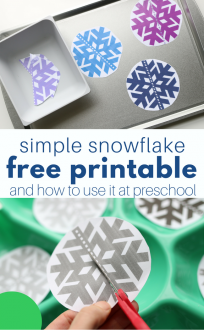 Since she is older she glued her paper strips down herself and if you are going to do this activity one on one with a toddler I would encourage them to do it too. For my class I glued them down and they will focus on painting. Gather your materials. 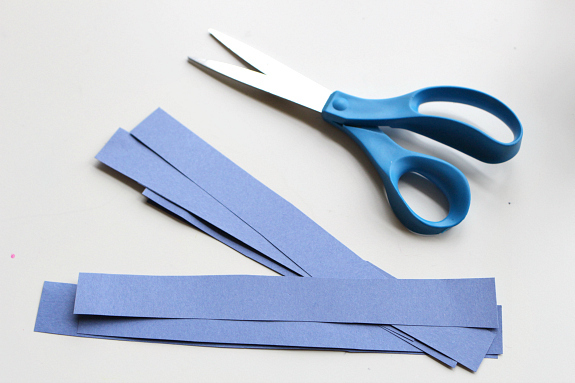 You will need some blue construction paper, scissors, a glue stick, q-tips, a paper plate, some paint in silver, white, and light blue. 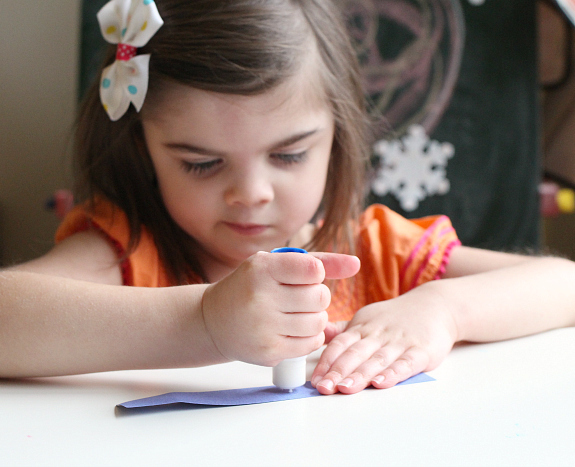 Using different tools to paint is a great way to work in some extra creativity as well as in this case fine motor skills. It’s tough handling a skinny little q-tip! Time to glue. She loved this step and glued and glued and glued! 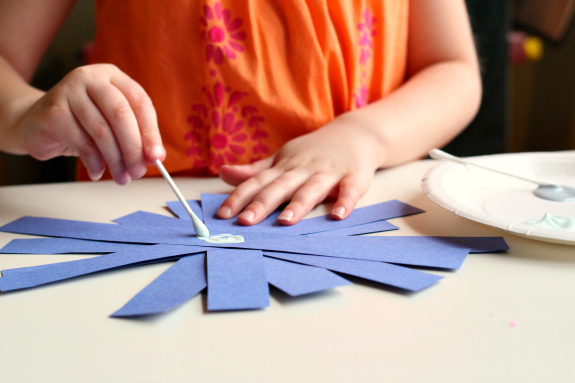 While your child is gluing pop the paint on a plate and add the q-tips to each color. 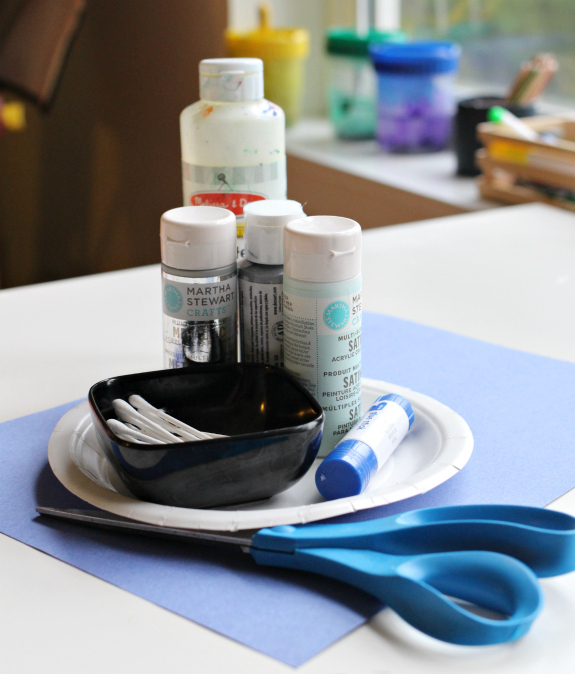 Time to paint! 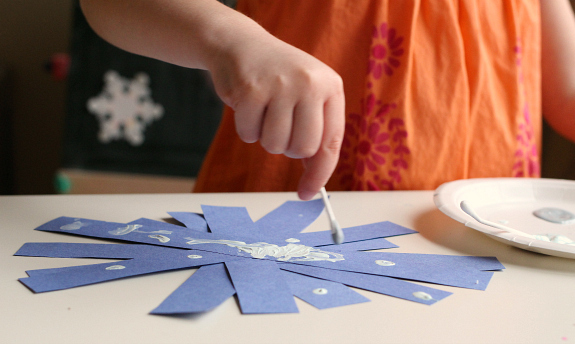 One of the best ways to really enjoy crafting with your kids is to do it with them. Don’t do their craft , do your own. Seeing you enjoy it sets a great example for them. 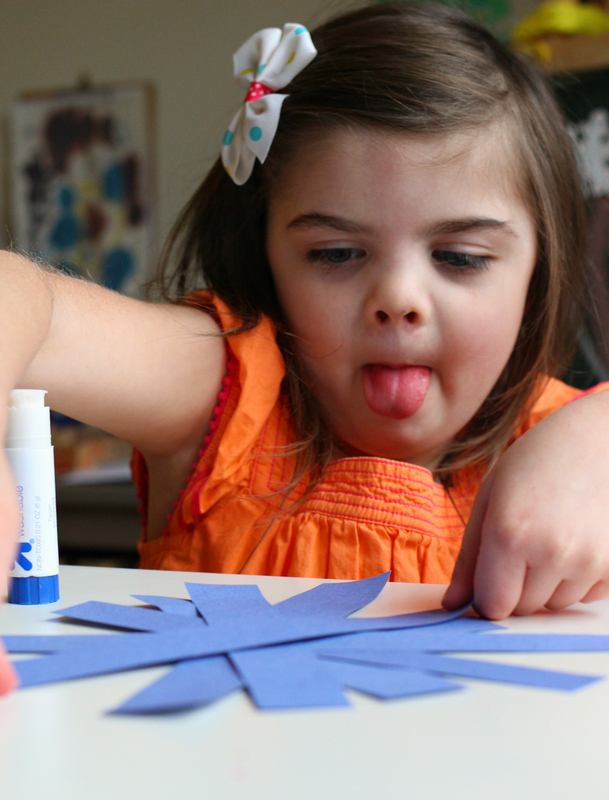 I’m planning a preschool program called Little Explorers. 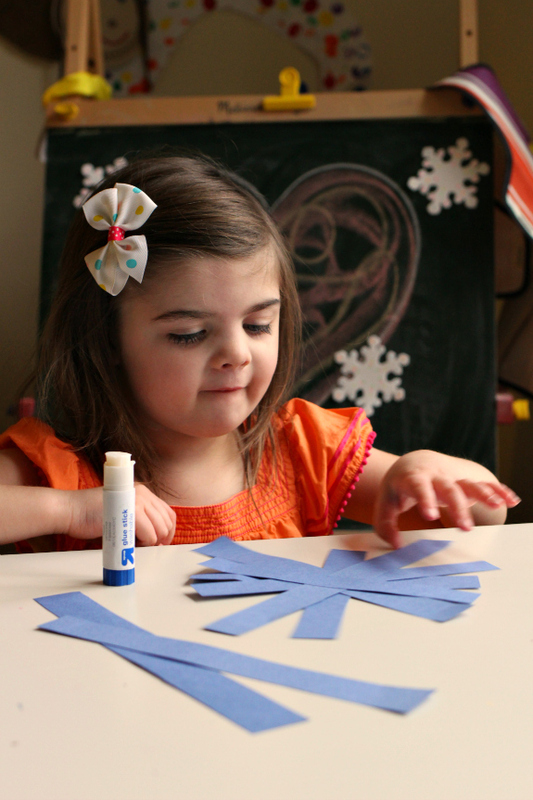 This month we’re reading The Snowy Day. This will be a perfect activity for this book. Thanks! 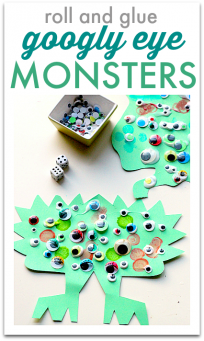 This is a perfect, simple craft for my 2 and 4 year old daughters. This is exactly what I was looking for while we are stuck inside as the snow is falling down today! !